On May 14, I wrote that several Gospel for Asia staff and students had reported to me that they were asked to carry envelopes of cash to India without declaring that cash to U.S. customs. I then reported audio of Gospel of Asia leaders telling staff and School of Discipleship students in a May 14 staff meeting that GFA leaders planned to discontinue the practice of having groups of students take large sums of cash to India in their pack backs or suitcases on group trips. In that staff meeting, a student raised the issue with a question about why GFA leaders required each student on a mission trip to carry an envelope of $4500 cash to India. Amounts ranging from $45,000 to $135,00o (possibly more, I have not interviewed individuals from groups larger than 30) have allegedly been taken to India in this manner. GFA gave no specific reason for asking students to do this, but said their Texas auditor Bland Garvey approved the plan. Obviously and by their own admission, GFA leaders did not follow this guideline. 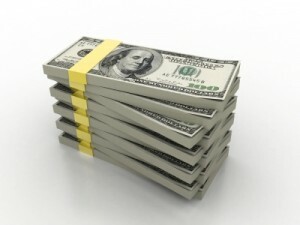 If an individual transports, attempts to transport, or causes to be transported (including by mail or other means) currency or other monetary instruments in an aggregate amount exceeding $10,000 (or its foreign equivalent) at one time from the United States to any foreign place, or into the United States from any foreign place, they must file a report with U.S. Customs and Border Protection (CBP). This requirement is cited in 31 USC 5316; 31 C.F.R. 103.23 and the Bank Secrecy Act (BSA) of 1970, which identifies the source, volume, and movement of currency and monetary instruments being transported into or out of the United States or being deposited in financial institutions. The BSA aids law enforcement officials in the detection and investigation of criminal, tax, and regulatory violations. CBP widely publicizes the currency reporting requirements on its website and through other means in order for travelers to be aware of the requirement to file a FinCen Form 105, Report of International Transportation of Currency or Monetary Instruments (CMIR). If unreported currency or monetary instruments are discovered on a person or in his carry-on luggage while boarding a departing aircraft this would constitute a CMIR violation. Dividing currency amongst travelers requires the filing of a CMIR for the entire amount as intentionally aggregating currency exceeding $10,000 to evade reporting is against the law. I then asked the public affairs office at Immigration and Customs Enforcement how their office handles such crimes. A spokesperson told me that no information could be given about current investigations, but persons who wish to pass along information can use the ICE tip line: http://www.ice.gov/tipline. I also request that former/current staff, students or others who carried cash for GFA contact me via email (click the link). 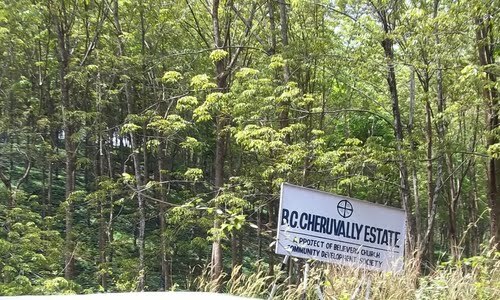 Although not your usual ministry tool, in 2005 Believers’ Church (which is synonymous with Gospel for Asia in India) acquired a working rubber plantation called Cheruvally Estate. The 2263 acre estate was purported to be a money making venture to help make Believers’ Church self-sufficient and according to reports in the Indian press cost just over $14.3 million. Today, the Indian government is poised to take control of three properties once belonging to Harrison Malayalam, India’s largest producer of rubber. 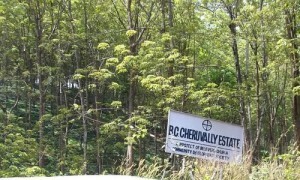 One of those properties is the Cheruvally Estate. It is not clear what if any compensation Gospel for Asia will receive. The government claims that Harriason Malayalam never had the right to sell the land in the first place. The property has been in dispute since it was first acquired. Although not normally of interest to me, I took a look at the hush money charges against former Speaker Dennis Hastert because of the additional wrinkle that he structured his bank withdrawals to avoid federal requirements to report those actions. Such structuring is illegal whether one is an misguided creation science proponent, as in the case of Kent Hovind, or a mission organization moving over $10,000 out of the country without declaring it at customs, as former and current students and staff at Gospel for Asia have alleged. I have learned a new term for using multiple people to move money to evade declaration – “smurfing.” Papa smurf arranges for all the little smurfs to carry the load, in the case of GFA envelopes of cash in their backpacks or suitcases, until they arrive at their destination. How Much Does it Really Cost to Sponsor a Child with Gospel for Asia? Yesterday, I pointed out that the expenditure of foreign funds by GFA in the fiscal year ending on March 31, 2014 for the support of children enrolled in the Bridge of Hope program seemed quite low, estimated at around $105 per year. Today, I want to point out that GFA’s request for child sponsorship in India is about one-third of what it is here in the U.S. and that the actual costs are even lower than that. It only takes $35 a month to give a child everything they need—school supplies, a daily meal, medical checkups and more—to attend a Bridge of Hope Center. 100% of your sponsorship is sent to the field to support your child. I have also seen GFA budget documents which tell a more surprising story. * The actual cost during fiscal year ending 2014 to support one child in a GFA Bridge of Hope center in India was just under INR 500 or around $8.20 per month per child. This paid for the administration of the program, food purchases, and all child services. In fact, the actual items given to each child (school supplies, clothes, hygiene supplies and gifts) only cost INR 140 per child or $2.20 per month. At that rate, Americans who send $35/month to GFA for a child sponsorship could actually support 4 children. Or GFA could keep the excess in a bank and draw interest on the balance as they appear to be doing. As I noted yesterday, GFA spent over $6 million in foreign contributions on Bridge of Hope expenses in FYE 2014 but had in the neighborhood of $25 million designated for “the welfare of children” sitting in a bank drawing interest at the same time. 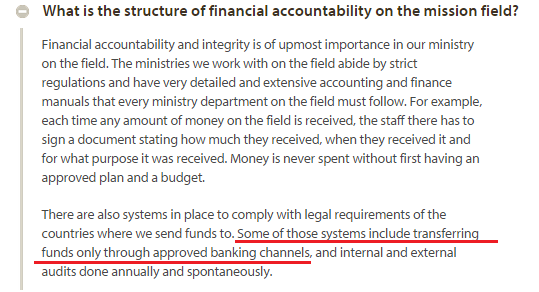 GFA has to report that interest (the banks do as well) and all four GFA controlled organizations accumulated $4.2 million on the money in savings accounts by the end of FY 2014. GFA says “100% of your sponsorship is sent to the field to support your child.” Perhaps this statement should be reworded. The money is sent to the field but a lot of it apparently ends up in a bank on the field. It is past time for GFA to end the silence and address this matter as well as others which have come out in recent weeks. *I have the documents but don’t have permission to publish them. Author Warren ThrockmortonPosted on May 27, 2015 Categories Charity, David Carroll, Gospel for Asia, K.P. YohannanTags Believers' Church, Bridge of Hope, Child sponsorship, Gospel for Asia, K.P. YohannanLeave a comment on How Much Does it Really Cost to Sponsor a Child with Gospel for Asia? That account will tend to build up over the year, it will ebb and it will flow and it will go down as money is spent. Currently, is there 94 million dollars in there or someone asked is there $150 million dollar fund on the field? No, currently the balances from what I understand from India are around 7 million dollars in that particular, those particular accounts. The reason that they are there is because we have to report all foreign contributions that come in. Money will swell and as we spend the money the money will go. We cannot spend the money until we can spend it on the project for which it was designated. GFA and Believers’ Church both receive money from several LLCs with Texas addresses (e.g., see this list). Two other groups do as well: Last Hour Ministry, and Love India Ministry. The image below shows the cash balances for each of those organizations in India. These numbers do not include U.S. operations, which are likewise substantial. Note the red boxes on the right side of this chart. The cash balance GFA reported to the Indian government was (in rupees) 3,288,264,488.79. Using the exchange rate on March 31, 2014, this converts to $54, 929,800. Similar calculations led to the image above showing over $150 million. Also note that the previous balance was (in rupees) 2,984251885.50. At the March 31, 2013 exchange rate, that converts to $54,601,600 as a cash balance in 2013. Donors might have a lot of questions after reviewing this information. 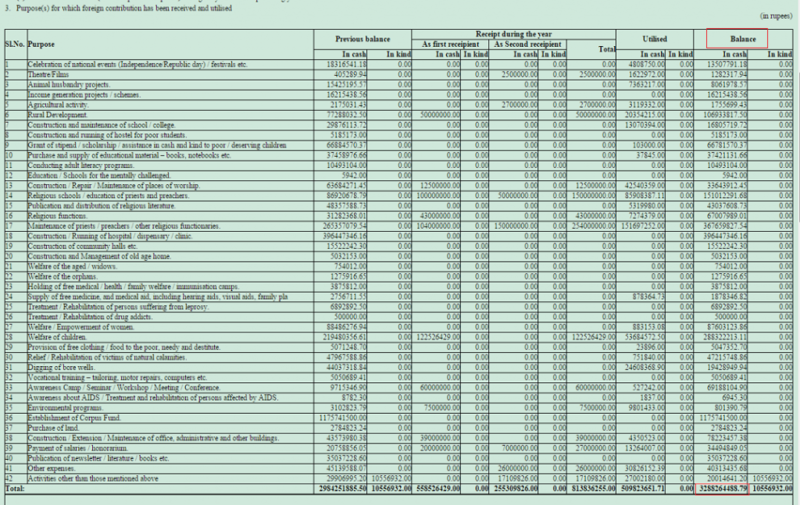 For instance, what is a Corpus Fund, and why was $21,512,100 sitting in it as of March 31, 2014? It doesn’t appear that any foreign funds were spent on welfare of widows and orphans. There may be perfectly good explanations for all of the questions raised by these reports. However, given GFA’s promises, the massive amounts of money involved, and the other issues identified of late, there is no reason the public and staff shouldn’t ask. To explore these reports, go to the foreign contributions portal, and then click on the years of interest. All data are not available for 2014-2015 as yet, so click 2013-2014 for the most recent data. Then also click on “Kerala” for the state and hit submit. There you will see all of the charities operating in Kerala. Find Gospel for Asia, Believers’ Church, Love India Ministry, and Last Hour Ministry. Historical exchange rates can be found here. *I am using exchange rates from March 31, 2014. Can you confirm that the reason GFA organizes as an episcopal type church is related to Indian law. I have been told that Indian law requires GFA to register as a church and assume a governance structure similar to the officially recognized Catholic Church and the United Church of India. That means an episcopal structure (with bishops, etc.) is required. Thus KP Yohannan is officially the Metropolitan (archbishop) of the Believers Church. Is this why allegiance to KP Yohannan and kissing his ring is involved? In regard to Gospel for Asia’s structure, while we are thoroughly evangelical, our organization and church structure is specific and unique to the areas where we work most heavily. Additionally, K.P. Yohannan’s title is understood in the countries where we work to refer to the senior leader of the organization. In regard to your question about kissing K.P.’s ring, I haven’t seen it, nor am I aware, that it has ever happened. The man seated is K.P. Yohannan and the men coming forward are being ordained into the Believers’ Church. They very clearly are kissing Yohannan’s hand, and at times, it seems clear that they are kissing his ring. The allegations that GFA and Believers’ Church have evolved from an evangelical ministry to a self-contained episcopal type denomination have dogged GFA for about a decade. This video was taken at an ordination service. According to my source, the service took place in 2009 in India at one of the Believers’ Church seminaries. One former leader in India told me that the pastors were taught several years ago to kiss Yohannan’s ring, which has the Believers’ Church emblem on it. However, many felt awkward with practice and the leaders revised the ritual to include bowing low before Yohannan before he touched a person’s forehead with his signet ring. In any case, these rituals seem to place significant emphasis on allegiance to the Metropolitan. Did anybody ever kiss my hand or my ring? In memory I cannot ever recall I allowed it to happen or if they did it. Because we never teach it. We never promote it. That is not our doctrine, I am not a god, anything, but if people who talk about it and say this, they saw it, what can I do. What have I done to you or to anyone here to promote me? When I took the ring on my hand, as God Almighty my witness, I was going to a death chamber. I never asked anyone to kiss my ring, I never allowed it to happen. We never teach it, we never promote it. The audio is hard to make out but the first quote above is first on the audio followed by the second quote. Of course, none of this means that Gospel for Asia is ineffective in ministry to the poor or in service to others. However, the practice of structuring cash transfers to India in ways which evade detection by customs officials and now the double talk on their ecclesiastical practices raises many questions about the organization’s other claims. GFA has asked for and received a significant exception to financial reporting requirements from the Evangelical Council for Financial Accountability. Prominent pastors like Francis Chan claim that GFA’s practices are clean. However, perhaps GFA should respond to these recent concerns with increased transparency rather than silence as they have in the past two weeks. Gospel for Asia sponsors frequent “vision trips” to India. These trips help inspire donors and prospective ministry workers to give time and money to the work of GFA. In Texas, GFA runs a School of Discipleship and the students at the school often go as a group to India as a part of their work. According to some former GFA travelers, they pack more than cameras and a toothbrush. For over two years, some GFA travelers to India have been packing envelopes of cash designed to be taken into India and given unopened to GFA headquarters in Kerala, India. According to my sources, GFA staff in Texas have on multiple occasions given GFA travelers sealed envelopes filled with cash and said that the envelope contained $4500. The travelers — who were traveling together in groups of various sizes — were told the figure of $4500 was designed to avoid the need to declare the cash in India. Amounts of $5000 or more must be declared upon arrival. According to federal law, any amount of cash may be taken out of the country, but amounts of $10,000 or more must be declared when leaving or entering the U.S. According to my sources, the GFA groups were carrying far more than $10,000 per trip. Over the last several days, I have spoken to five GFA travelers* who carried money to India in this manner and have examined GFA source information which described the practice. The sources said that most if not all members of their groups carried the envelopes filled with $4500. For instance, a group of ten people carried $45,000. I asked GFA COO David Carroll for comment but he has not replied. One individual told me that a GFA leader told a group of travelers that taxes were high in India and by taking undeclared cash, the ministry would benefit. According to all sources, each individual in the GFA groups received a sealed envelope from GFA leaders in Texas. I was told that one group had ten people carrying cash ($45,000 at one time) and another source said there were 30 travelers in a group (a maximum of $135,000). The travelers were told that each package contained $4500 and that each member of the group would turn in the envelope to a GFA leader in Kerala, India. The money did not belong to the travelers and was not to be used for expenses. The envelopes were to remain sealed and turned over to a GFA leader at headquarters or a Synod office for the Believers Church. Some specifically named Siny Punnose, who works in finance for GFA in India. Some groups consisted of students, some of ministry partners, and at times, pastors have been asked to carry funds. All sources felt odd about taking the money. One person said fear of losing it or having it stolen was a constant preoccupation. They worried they were doing something that didn’t sound right. Even though the leaders assured them that the practice was fine, it still didn’t seem right. And, in fact, the travelers may have been right to worry. One may leave or enter the United States with any amount of cash. However, a person who has $10,000 or more must declare it on a form designed by Customs and Border Protection when leaving or entering the U.S. As a recent CBP press release says, one may not split it up and have others carry it for you. In this case, GFA asked the travelers to carry much more than the $10,000 limit in total. If travelers have someone else carry the currency or monetary instrument for them, they must file a currency report for the entire amount with CBP. Failure to report may result in seizure of the currency and/or arrest. During a secondary inspection, the man, who arrived from Italy, reported possessing $11,700. It was later discovered that the man had given money to two co-travelers in order to evade currency reporting requirements, an illegal practice known as currency structuring. In total the cash added up to $24,644. CBP officers seized the money, issued the man a $1,000 penalty, and then returned the remaining cash back to the man. The reporting requirements apply to travelers leaving and entering the country. § 103.23 Reports of transportation of currency or monetary instruments. (b) Each person who receives in the U.S. currency or other monetary instruments in an aggregate amount exceeding $10,000 at one time which have been transported, mailed, or shipped to such person from any place outside the United States with respect to which a report has not been filed under paragraph (a) of this section, whether or not required to be filed thereunder, shall make a report thereof, stating the amount, the date of receipt, the form of monetary instruments, and the person from whom received. I am not an attorney and realize that there may be some unknown facts which make this all fine. However, it seems strange to me. GFA can wire money to India and does so frequently. There are many other ways to get money to the field which can be verified transparently. If these travelers are accurate in their reports, GFA is causing hundreds of thousands of dollars in cash to be transported without declaration. This practice seems risky and fraught with many negatives and potentials for abuse. I want to repeat that on Tuesday I asked GFA’s David Carroll for comment and explanation. *All sources spoke on condition of anonymity for fear of retaliation from GFA. None of the people I spoke with are affiliated with the GFA Diaspora. I learned this morning that the German office of the Gospel for Asia has closed. The letter below announcing the change went out to ministry partners. 24 years ago we founded the German branch of the international mission movement Gospel for Asia with the primary objective to encourage Christians in the German-speaking countries (Germany, Austria, Switzerland) to actively take part in the Great Commission through supporting native GFA missionaries in South Asia by our sponsorship programme. Many Christians from different denominations made use of our offer and innumerable people were allowed to get to know Jesus on our mission fields before it is too late. I was the leader of the German branch of Gospel for Asia for the last 24 years. I am almost 84 years old by now.Because of my age and since no suitable, competent successor could be found, we will stop the work and shut down the German branch of Gospel for Asia. Many blessed but also intense years lay behind us which we as a team will never forget. The generosity of our sponsors and friends is big to this day and so we are a little sad to announce that the time has come to ask you to stop sending any further donations to our German GFA office. !! The sponsorship programme for our missionaries stops at once !! For logistical reasons our complete missionary database has been already divided up directly by our GFA head office in South India to all other international GFA offices. Through this the monthly support of all GFA missionaries who were supported by our German office is secured! Please do not return the documents of the missionaries to us. For all donations in 2015 the tax deductible receipts will be sent out without demand of the donator (for the tax office in Germany) at the beginning of the New Year 2016. As a team we would like to say goodbye to you and on behalf of Gospel for Asia we want to thank you that you have so faithfully stayed with us, so that innumerable people could be saved in South Asia for ever. P.S. : GFA, USA would like to receive our addresses. If you DON’T want us to forward your address, please inform our office latest until 31.05.2015. Thank you!